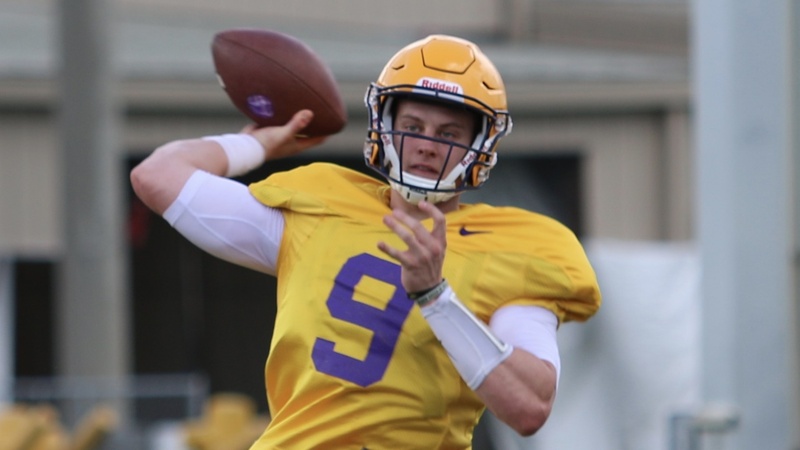 BATON ROUGE – The dates for LSU spring football practice have been set as the Tigers are set to open offseason drills on Thursday, March 7 as they prepare for their third full season under head coach Ed Orgeron. Spring practice culminates on Saturday, April 6 at 1 p.m. when the Tigers host the National L Club Spring Game in Tiger Stadium. Other dates of interest for LSU football during the spring include Pro Day on Friday, March 22 and the annual LSU Coaches Clinic on March 28-29. LSU returns 16 starters (8 offense, 8 defense) from the 2018 squad that posted a 10-3 overall mark and finished the year ranked as high as No. 6 in the nation. LSU opens the 2019 slate on August 31 when they host Georgia Southern in Tiger Stadium.